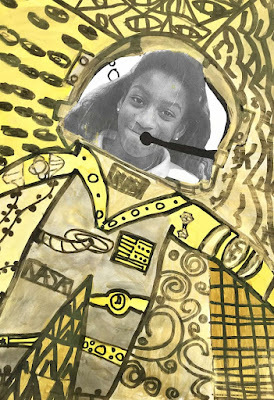 We have some really cool collaboration happening on our campus. 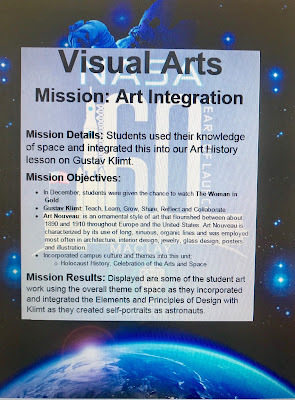 The letter below to our parents explains it. 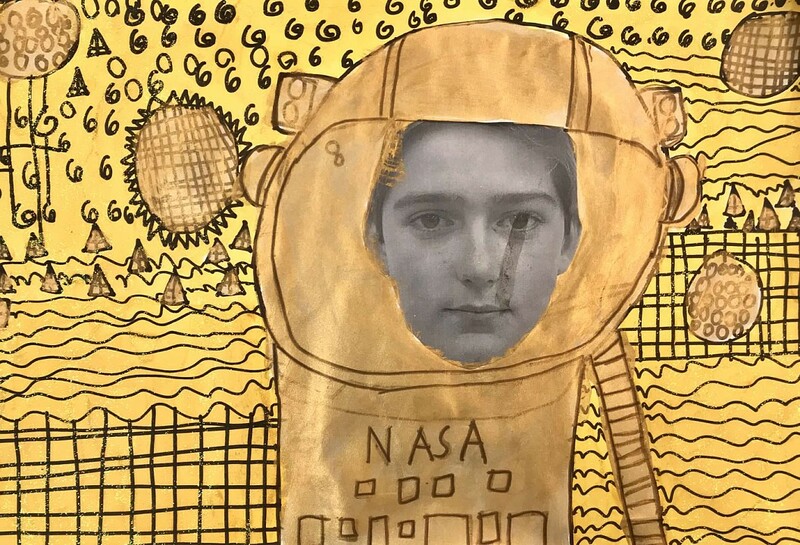 We will be doing several post over the next week to share with you all about our Celebration of the Arts at Maclay School. 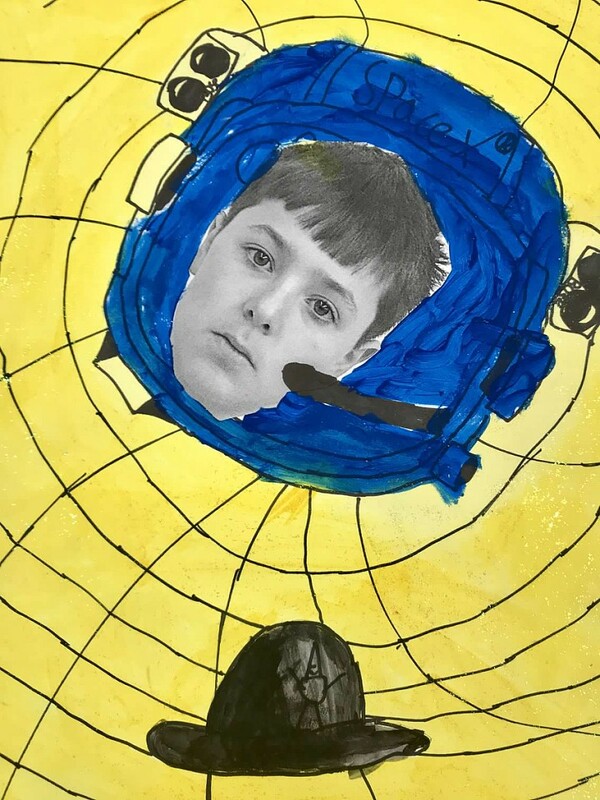 The letter below invited families to school to view our Art Installation in the Library. 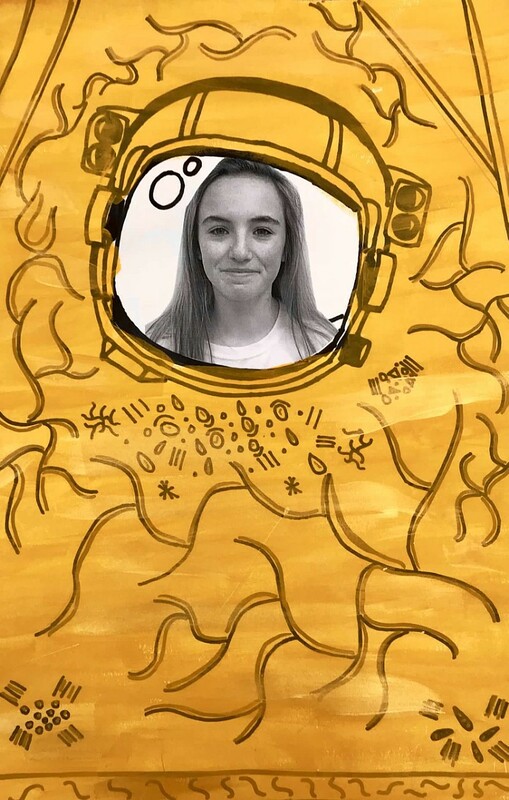 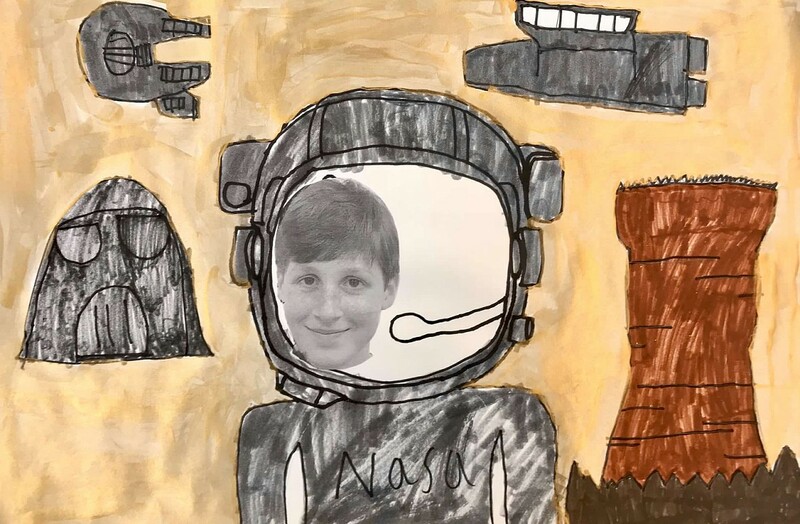 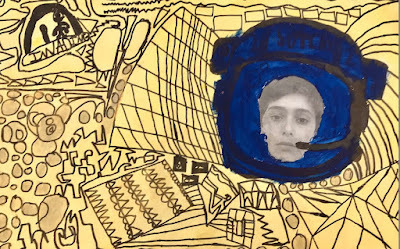 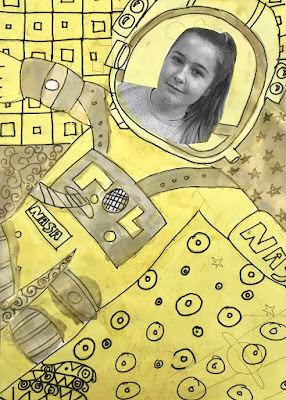 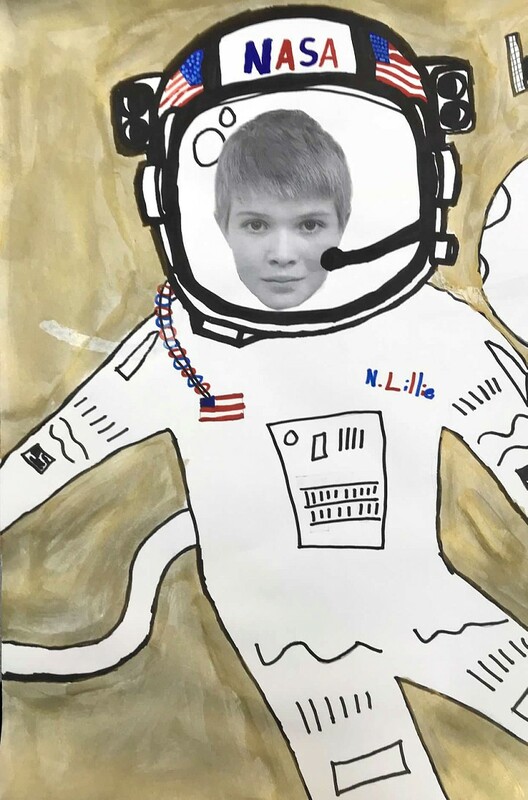 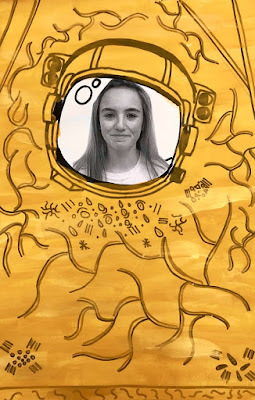 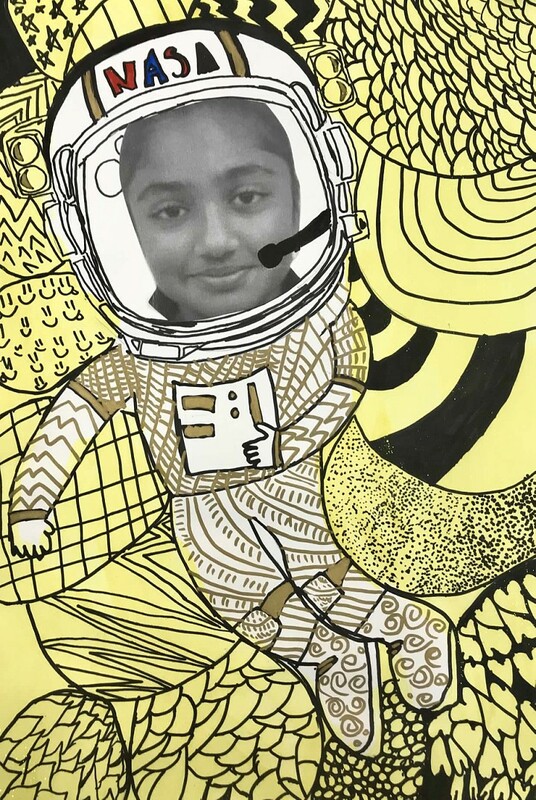 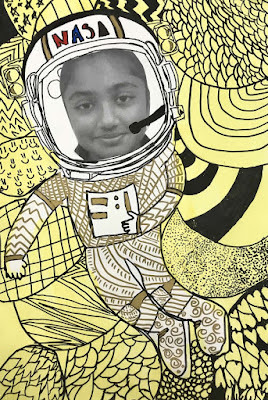 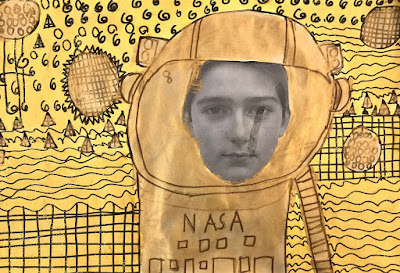 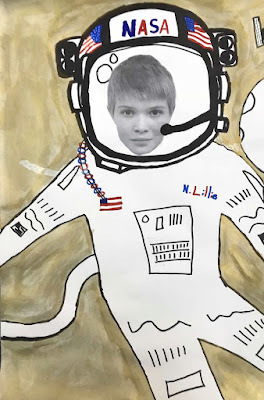 Our sixth-grade students have been working on a thematic unit combining the space race, the future of space exploration, and the notion that "the whole is greater than the sum of its parts," based on a quotation by Aristotle. 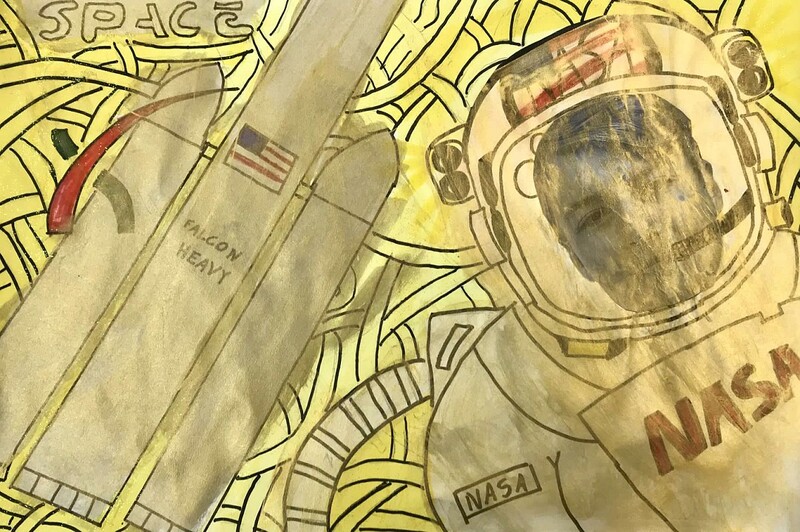 These elements have been woven throughout all the sixth-grade classes over the past several weeks. 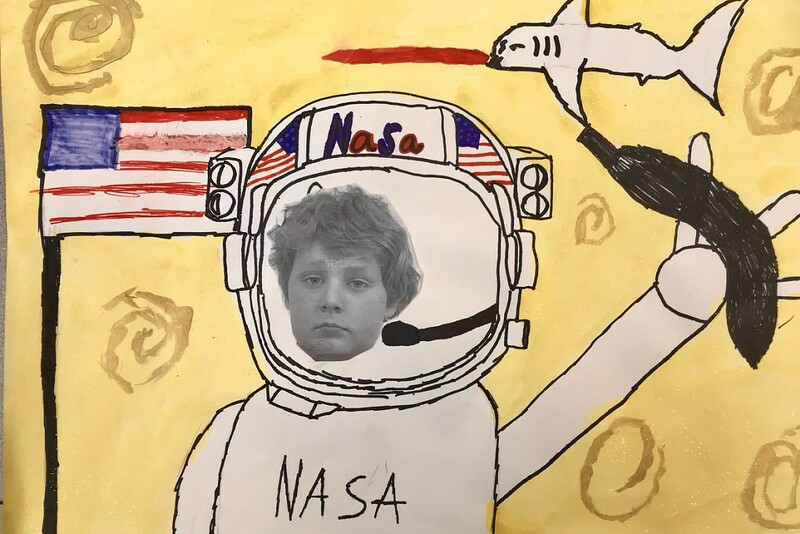 Our students have read the novel, Freak the Mighty and written "space poems." 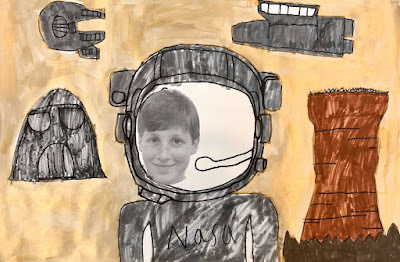 They have learned about the Space Race and studied the future of space exploration. They have built and launched their own rockets, while learning how to calculate angles, altitude, and speed. 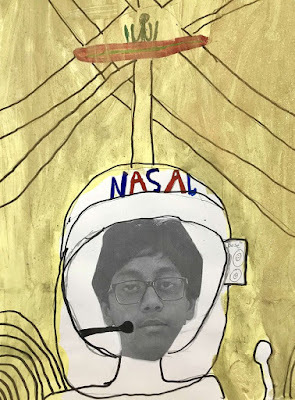 Our students have created scaled models of various crafts from past space explorations, and have engaged in debates and discussions about space-related issues. 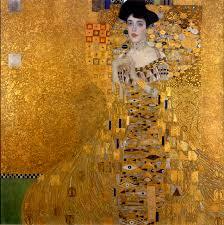 All the while the importance of collaboration (the heart of the Aristotle quotation above) has been at the forefront. On Friday, April 6th we invite you to visit the wonderful display our sixth-graders will have ready in the Langford Library during the Celebration of the Arts from 12:30-2:45pm. 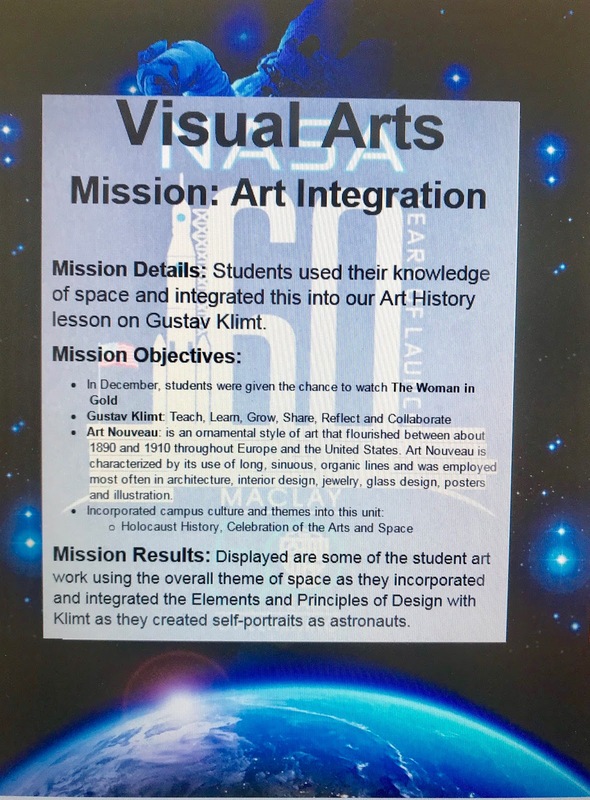 You will have the opportunity to see the activities and skills applied by our students as they launched into this thematic unit. 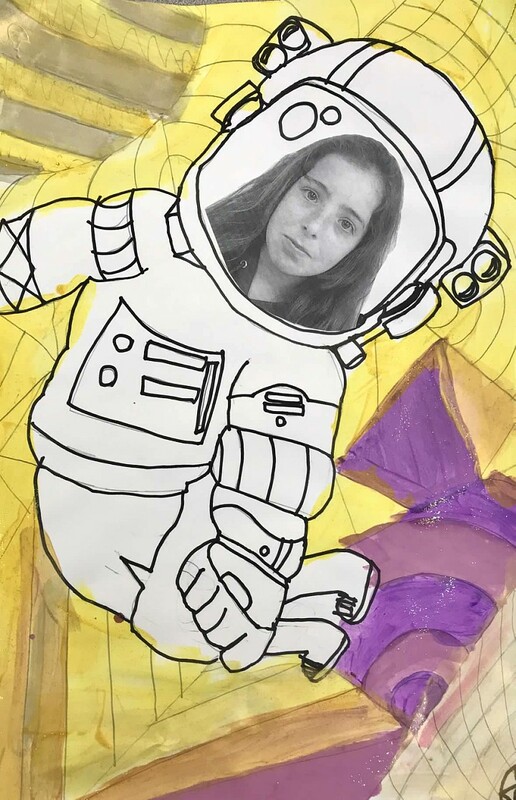 Please feel free to contact the Middle School office with any questions. How did I collaborate? 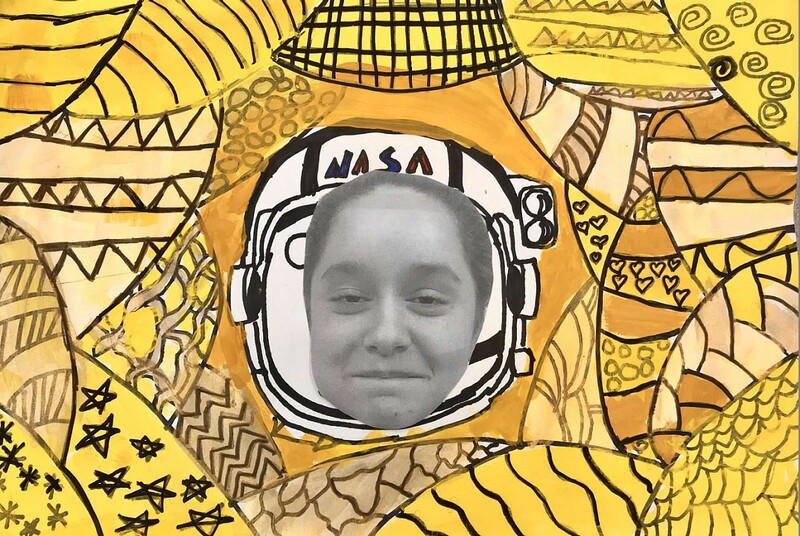 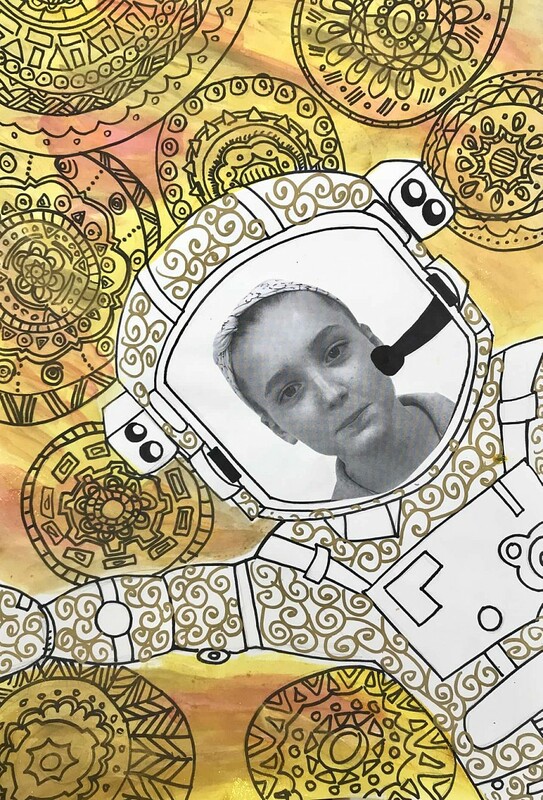 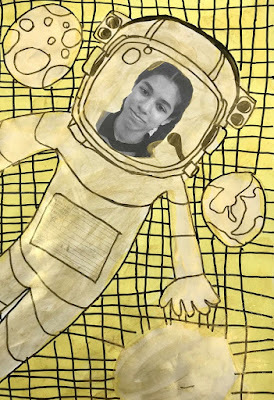 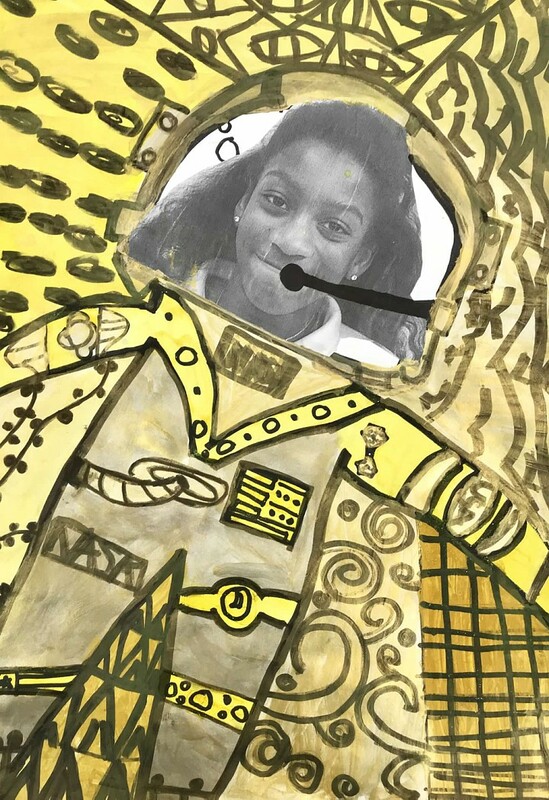 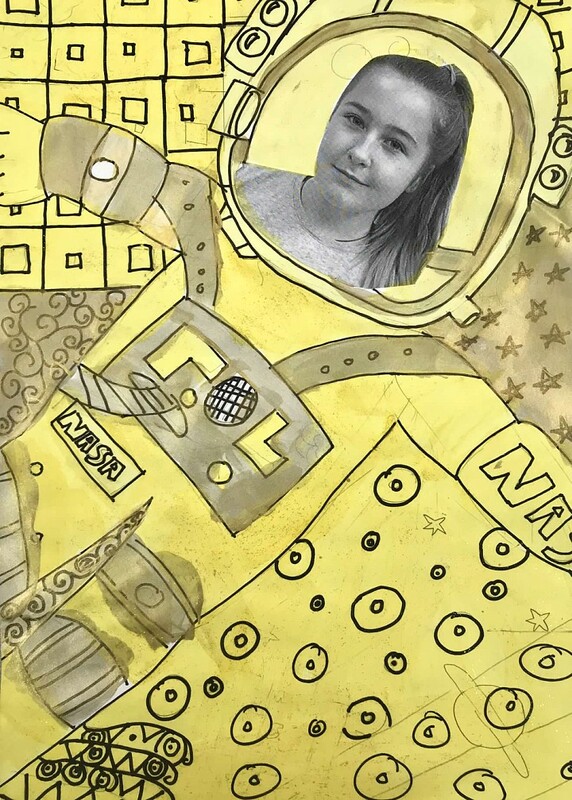 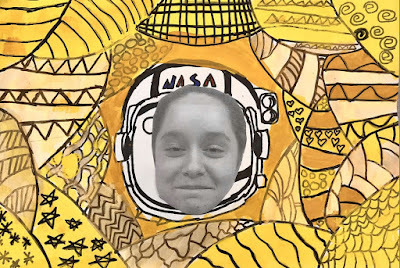 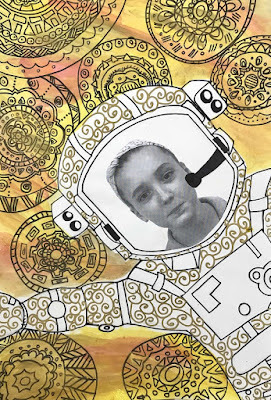 I used the space theme and the Celebration of the Arts theme and made Gustav Klimt astronauts. Each student that participated in art class that 9 weeks made one. 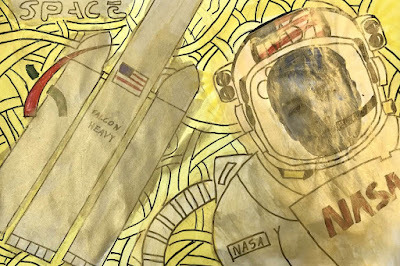 We used the Elements and Principles of Art to enhance the learning on this lesson. 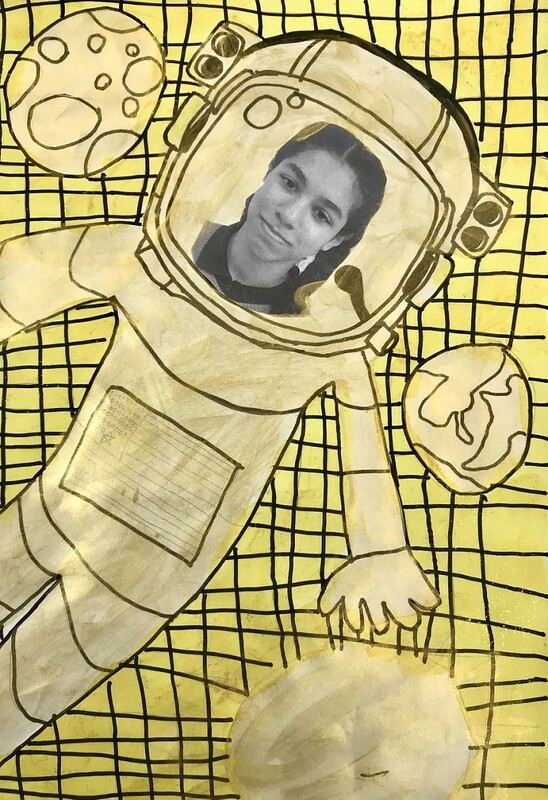 The above is my mission for ART. 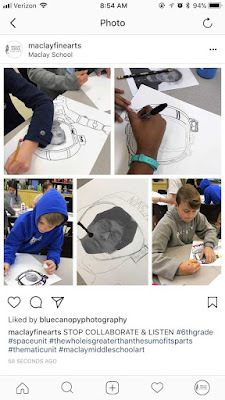 Below shows our progress on our Maclay Fine Arts Instagram account. 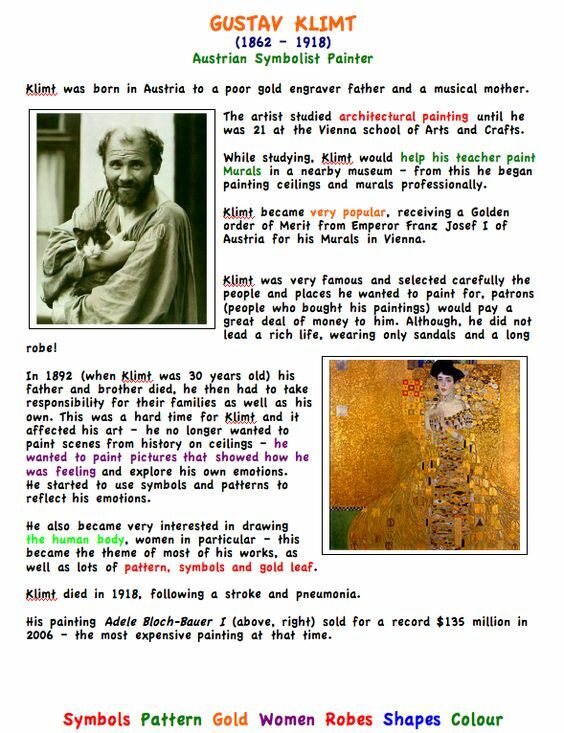 Students learned about Klimt. 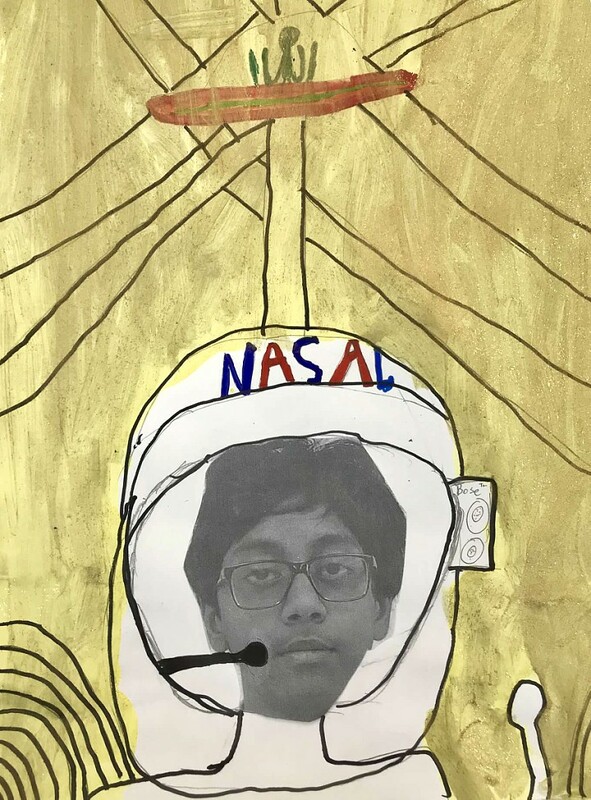 Transferred knowledge from other classes to make this lesson a success. Students were also given the opportunity to watch The Woman In Gold as a whole middle school. 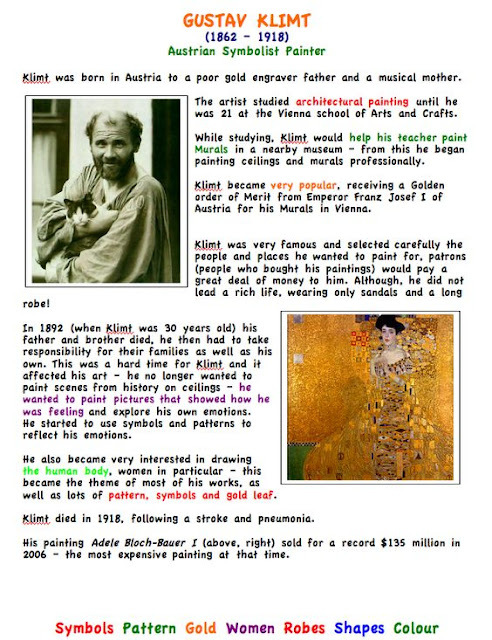 Used resources from online places to have as references for the projects.